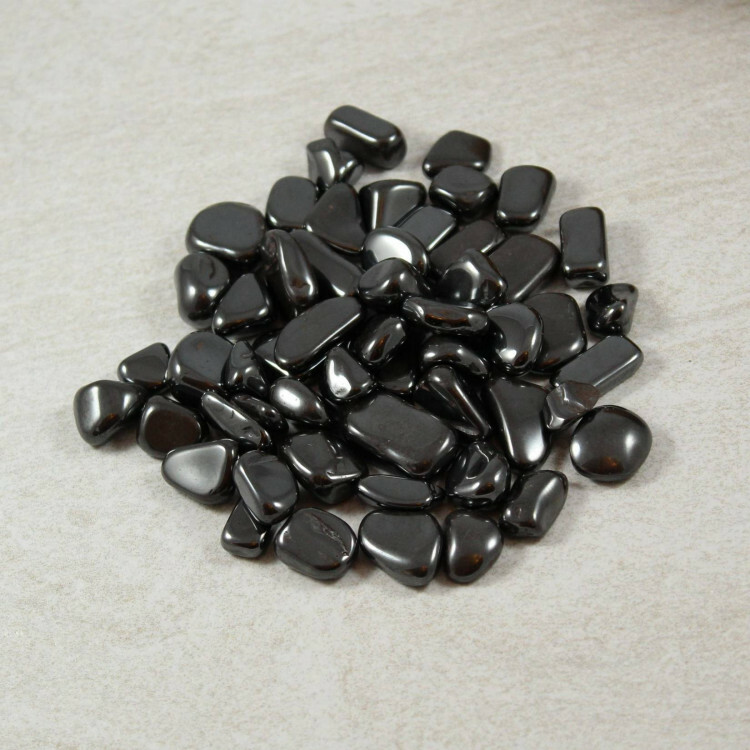 Small pieces of tumbled Hematite, available in a few sizes. 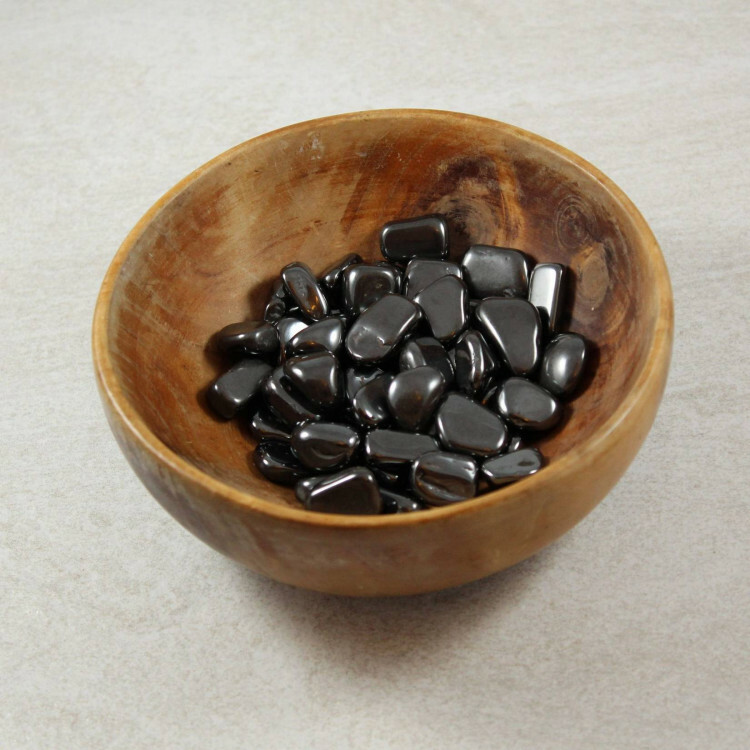 Hematite Tumblestones, available in a few different sizes – measured along their longest edges. 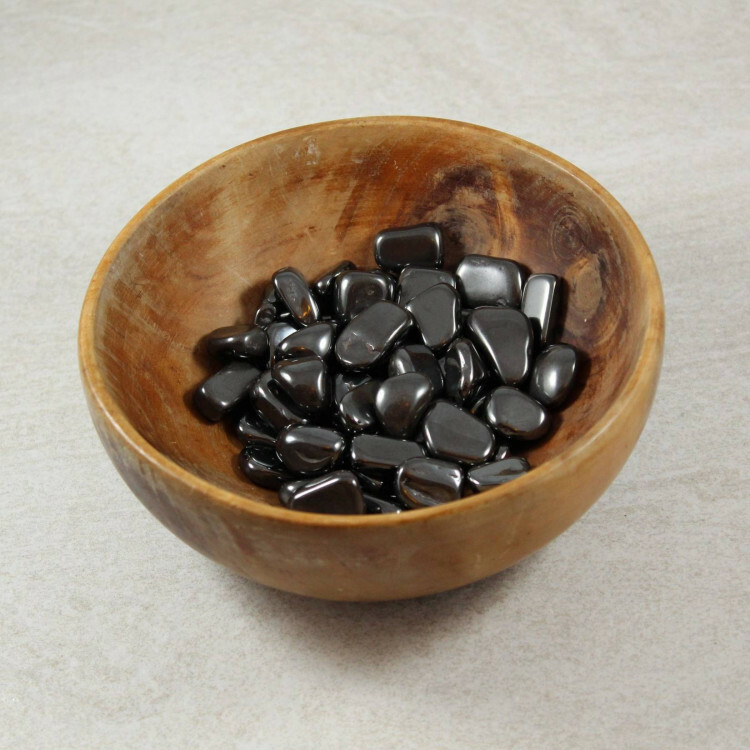 These stones make a good decorative item in a small bowl or vase. Please note, however, they are not suitable for anything involving water – no fish tanks or aquariums. Hematite is an Iron ore, and will rust or leach Iron into the water over time. We sell a range of Hematite products, including other sizes of tumblestones, as well as offering more information about the mineral itself – please see our main Hematite page.